A new version of THE TWILIGHT ZONE is coming to CBS All Access on Monday, April 1st, and the creative team behind the reboot is very aware of its long legacy and cultural impact. 1) There won’t be any straight-up remakes of classic episodes. 2) The installment featuring Ike Barinholtz reminded him of his favorite installment. All Seehorn and Farmiga could tease about their characters? They play sisters. 3) The scripts prompted visceral reactions from its stars. 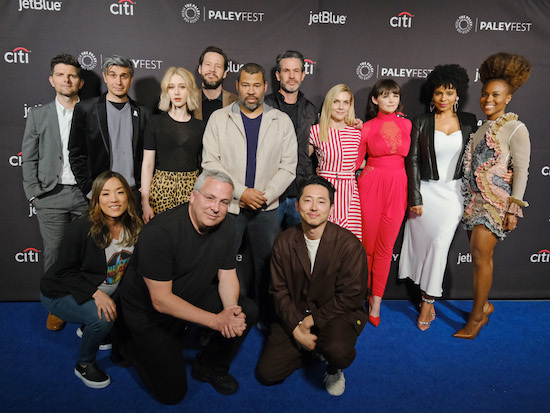 “It really is one of those things where you read [it] and go, ‘People are trying to say something,” added Steven Yeun, about his episode, “A Traveler,” penned by THE X-FILES’ Glen Morgan.